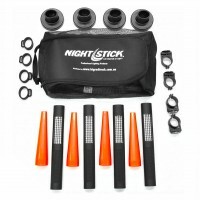 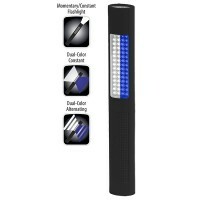 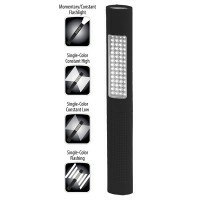 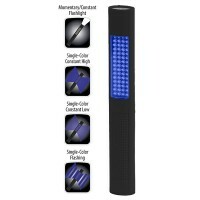 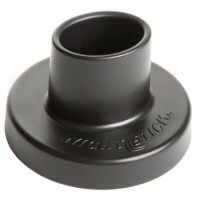 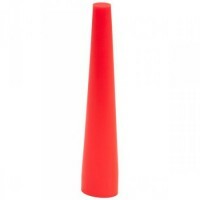 The Nightstick Safety Light combines a full-size flashlight and a floodlight/flashing safety light in a compact, light-weight package. 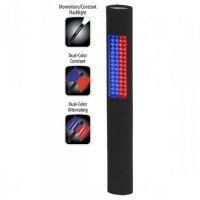 Two body mounted switches control the lighting functions. 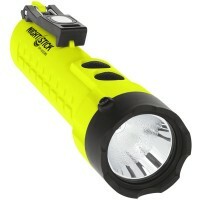 The top button powers the tight-beam, long-throw 150 lumens flashlight in either momentary or constant-on mode. 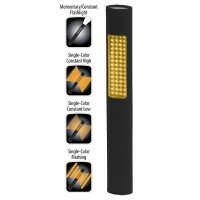 The bottom button controls the safety light array with options for constant-on or flashing/alternating (depending on model) operation.